Doesn't lock throttle on. Easier Throttle Operation. 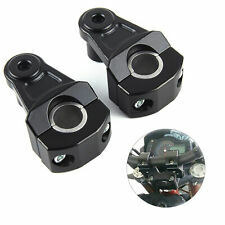 Pair Slim / Flat Black Bar Ends Suit Motocross Renthal Type Handlebars Pro Taper. 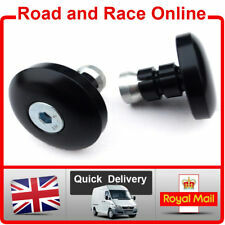 Pair Slim / Flat Black Bar Ends Suit Renthal Type Handlebars. make Supersized seem small. Weight 50g Per Pair. Allen Key Included. 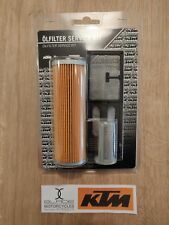 Genuine KTM Oil Filter Service Kit. Blade motorcycles. FOR ALL YOUR GENUINE MOTORCYCLE PARTS AND ACCESSORIES. Elgin Drive. You must ensure correct sizing before ordering. Local Pick up. HONDA C50 C65 C70 C100 C110 CA110 C200 C115. High quality, reproduction Shock Absorbers. Honda Models. 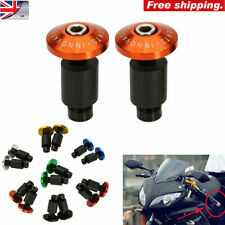 Product Description: - Conditon: 100% New - Material: Aluminum - Color ：Orange - Easy To Install, Screw Into Exist Hand Grips - Fitment: All the motorcycle with 22mm (7/8'') handlebar Package Includes: 1 pair(Left And Right). Handlebar and Related. Front Fork. Drag Specialties Black Clutch Lever Bracket for Harley-Davidson 1996 Up Listed. Specialists in after-market parts and accessories for Harley-Davidson. ADD US TO FAVOURITES. 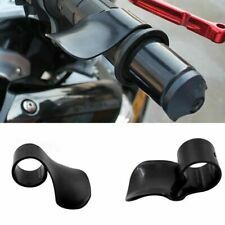 Motorbike Motorcycle Slip on Foam Anti Vibration Comfort Handlebar Grip Cover. Vibration resistant. Motorcycle Slip-on Grip Covers. 2 x Motorcycle Slip-on Grip Covers. Increases overall grip thickness by 6-8mm. NOW WITH 6 MONTH WARRANTY !! Suitable for 22mm (about 7/8“）handlebar. 1 Pair Handle Bar Riser. -Color: silver. -Easy to install(instruction is not included). ). TO FIT HONDA CG125 1978 TO 2004. THESE SHOCKS ARE FOR HONDA CG125 ONLY. HOLE CENTER TO HOLE CENTER SIZE IS 330MM. A PAIR OF NEW SHOCK ABSORBERS. THE SPRING IS ADJUSTABLE. Black Spin On Oil Filter For Harley-Davidson Twin Cam Models Listed. 2005 Harley-Davidson 15th Anniversary Fat Boy-Injected - FLSTF-I. 2008 - 2015 Harley-Davidson Dyna Fat Bob (EFI) - FXDF. 2007 - 2015 Harley-Davidson Fat Boy (EFI) - FLSTF. 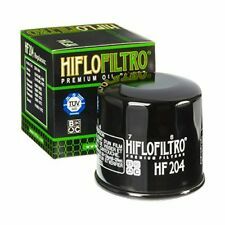 Hiflo filtro Performance Oil Filter - HF-204. HiFlo Filtro Oil Filter features High performance motorcycle oil filter. World's fist TuV approved oil filter. OE specs plus performance. Honda 15410-MFJ-D01. 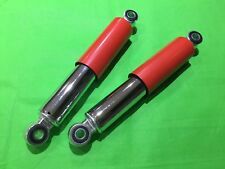 New Pair Rear shocks. £18.99 set. Brake Lever made by one of the large manufacturers and are made in Taiwan. Made of a special high tech material that is U.V., ozone and oxidation resistant. Foam will not weaken or crack as a result of years of outdoor exposure. Grip Puppies Motorcycle Grip Covers. Grip Puppies will fit OVER all standard grip sizes. Low Braced Alloy Handlebars. Black with Silver Brace. Grip length: 119mm. Fancy a change?. Available in a range of patterns to match any riders bike, gear and personal taste! Fit Standard 22mm Bars. 1 X Right Brake Master Lever. We will try our best to reduce the risk of the custom duties. Detail Image. Product Code: HF138. Model: AN650 A Burgman Executive 04-14. Hiflo Oil Filters. Manufacturer: Suzuki Scooter. There are applications for almost every motorcycle, scooter, and ATV that uses an oil filter. Fluorescent colours available Fluo Yellow, Green, Pink and Orange. Hard material in the inner part of the grip to fix better on the bar without any problem of slipping. Soft material on the outer part, for reduction of all vibrations that the motorcycle can transmit. YOU ARE LOOKING AT A BRAKE LEVER. PUTOLINE NO: PF80156 / (HIFLO : HF303 FOR CROSS REFERENCE ONLY). PUTOLINE MOTORCYCLE OIL FILTER. NEW PUTOLINE MOTORCYCLE OIL FILTER. " " : 500 SCRAMBLER 4X4 - 1996-2011. HONDA : CB 400 F,FK (CB-1)(JAPAN) - 1989-1992. RSV4 FACTORY/RSV4-R/RR 2009-2017 (F-99/V-4A). TUONO V4 1100RR/Factory 2017 (F-99/V-4A). Racing Brake & Clutch Levers Features Quantity: 2 PCS (Brake & Clutch). 7075 Type 3 Black Anodized Cam Block For Improved Longvity. 1 x UNIVERSAL FRONT BRAKE LEVER INC BRACKET CABLE TYPE WITH 10mm MIRROR MOUNT. 10mm STD THREAD MIRROR MOUNT. 17 cm LONG LEVER. 8mm HOLE FOR BRAKE LIGHT SWITCH (STD 2 WIRE HONDA TYPE). WE HAVE FOR SALE THE FOLLOWING NEW PART :-. UK Universal Motorcycle Gray Clutch Brake Levers Master Cylinder Reservoir 7/8"
Levers are Adjustable. Two Fingers Short Levers. 1 pair adjustable brake & clutch Master Cylinder levers (Left Right). 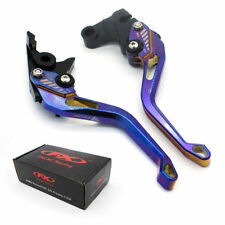 Brake Lever Color: Gray (Black, Purple, Orange, Purple, Green, Blue, Red, Silver, Gold is also available). The throttle assist will make the rotation of the throttle grip easier. Easy on, easy off. No tools required. Color: Black. Other Countries. THE CANVAS IS CUT TO SIZE, THE BARE EDGE IS THEN. THE BRASS FERRULES HAVE BEEN TURNED TO THE CORRECT SIZE AND THE EDGE. C50 C70 C90. Cub models. FRONT FORK ARM BUSH. Size: 71cm 22mm (approx.). Made of T6061 aluminum-magnesium alloy, good corrosion resistance, with sufficient strength, excellent process performance. so it is also widely used in aerospace construction and other fields! BMW R1200RT. Brake Pedal Extension. OIL FILTER REMOVAL TOOL. FITS THE BMW R1200GS 2004 TO 2012. 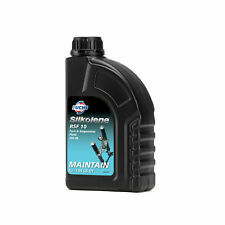 MAKE REMOVING THE OIL FILTER EASY AND CLEAN JOB. USE WITH A 3/8" DRIVE RATCHET. Weekends MAD4BIKES 01525 872900. C = 19mm Tolerance / . 5mm (approx ). B = 14mm Tolerance / . 5mm (approx ). Our bushes will save you the cost of replacing your shock absorbers if only the bushes need replacing. we will call you back as soon as. 7/8" 22mm Motorcycle Drag Straight Handlebar For Suzuki Honda CG125 GN125 JH70. For Honda CG125 GN125 JH70. 7/8" 22mm Motorcycle Drag Handlebar For Suzuki Yamaha Harley Honda CG125 GN125. Universal For Harley, For Honda, For Yamaha, For Suzuki, For Kawasaki, For Triumph Most Chopper Cruisers Bobber Bike or any custom applications. For under £7, what do you have to lose?. The unique shape of the Seal Mate tool is designed to insert into the fork seal, and upon rotation and exiting the fork seal, the ridge on the tool carefully removes the unwanted debris. Bonneville T100 & T120 liquid cooled models. Genuine Triumph Oil Filter & Sump Plug Washer. Bonneville & Bonneville T100 Carbs (air cooled models). Bonneville T100 EFI (air cooled models). Just like Triumph Accessories, Triumph Genuine Parts are the real deal. 340mm (13 3/8") eye to eye. Turn Signal & Lens. Pressure can be adjusted by springs and air (nitrogen). motorcycle shock absorbers. Vent Cover Hood. Oil Catch Tank. Air Cleaner Kit. The eye of shock has tensile strength more than 2000kgf. The throttle assist will make the rotation of the throttle grip easier. Our goal is to make sure that you can find exactly what you are looking for and make it easy for you to place your orders. Color: Black. GENUINE SUZUKI GSXR1000 K1 K2 K3 K4 FORK SEALS PART NUMBER 51153-40F00 X 1 PAIR. SUZUKI RG500 GSXR600 GSXR750 GSXR1000 GEAR LEVER RUBBER 25652-20C00. 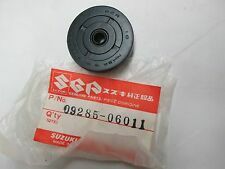 GENUINE SUZUKI SPEEDO ROTOR GSXR600 GSXR750 GSXR1000 GSX1400 GSR600 34981-38G01.